This work has been prepared to meet a want felt by the author in a practical course on the subject, arranged for advanced students in Physics. 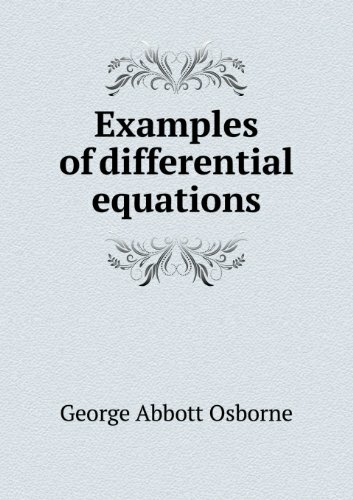 It is intended to be used in connection with lectures on the theory of Differential Equations and the derivation of the methods of solution. Many of the examples have been collected from standard treatises, but a considerable number have been prepared by the author to illustrate special difficulties, or to provide exercises corresponding more nearly with the abilities of average students.